Pain After Tooth Extraction Or A Dry Socket? How long does it last? If you get severe pain after tooth extraction, you're probably wondering "How long does it last?" and "What's going on"! You probably got the tooth pulled out in the first place because you were in pain. And now you've still got pain, after tooth extraction. What is going on? Getting a tooth pulled is never entirely 100% painless; Sure, the dentist can get it really numb for the procedure itself, but when the anesthetic starts to wear off, you are always going to get some pain afterwards. That's normal. Absolutely normal. You have just had surgery on your mouth! So a certain degree of pain after the numbness wears off is to be expected. But how much pain is normal? And how long does the pain last? These are things that depend almost entirely on the situation that existed just before you got the tooth out, and how you heal up. Some people seem to heal faster than others. To a degree, it also depends on how you perceive pain. Some people seem to suffer a greater degree of pain than others, for a certain degree of injury. How Long Does Pain After Tooth Extraction Last? What are the factors that influence how long pain lasts? Infection. If you had an infection around a tooth before it was extracted, then healing will be delayed. Frequently the dentist will give you some antibiotics for tooth infection for a few days before he takes the tooth out, to reduce the infection. But some bugs will remain, and can cause problems. This bacterial infection will delay healing, and increase inflammation in the area as your body's immune system fights the bugs. SO, the pain after extraction will last for 7 to 10 days. This broken tooth is infected, and will probably cause more pain after tooth extraction than normal. Extraction wound. This is the normal pain that you would get after having a tooth pulled. It's like any surgical wound, and takes time to settle down. The worst of the pain will last for 2 to 3 days, and may take a few days extra if there are any complicating factors. This the gap left in your gum after a molar tooth has been removed. That's a BIG hole! Torn gum. Sometimes the gum next to a tooth being extracted gets torn during the procedure. Usually it's a small thing compared to the socket left behind when the tooth is gone, and is not noticed. But occasionally it can be bigger, and the dentist will put a few stitches or sutures in there to help it heal up more quickly. But even with stitches to help it heal, it will be more painful afterwards than a straightforward extraction. The bone around the tooth had to be drilled. This happens either where the tooth breaks during removal, leaving some roots in the jaw, or else where the position of the tooth makes it impossible to remove the way it is. Removing some bone from around the tooth or roots can make it a lot easier to get the tooth out. But that bone removal is going to be sore afterwards. Your dentist would normally tell you to expect this, and prescribe you some antibiotics to help prevent infection afterwards, and some strong painkillers such as Vicodin. Pressure on neighbouring teeth from a dental instrument. During a difficult extraction, it's possible for some dental instruments to press on a tooth next to the one being removed. We try to avoid this as much as possible, but it does happen occasionally. This can cause the neighbouring tooth to be quite sore afterwards, but 99% of the time it settles down within a week or so. But during this time the tooth can be tender to bite on. An opening into your jaw sinus cavity. This one sounds nasty, but I suspect that it's a lot more common than people realize - even dentists! Here's what happens: The upper molar teeth are positioned right under the jaw sinus cavities. A lot of the time, the sinus cavity even wraps around the roots of the molar teeth. Imagine a child's birthday balloon, only half full of air. It's pretty soft. Now imagine that the fingers of your right hand are tooth roots. Press those fingers into the half-filled balloon. See how your fingers can stick into the balloon? That's pretty much how tooth roots can stick into the sinus cavity. Now, imagine getting that molar tooth and roots pulled out. You can see how the egg-shell thin bone around the root tips might get fractured, or disrupted during the procedure. The thin membrane lining the sinus can get torn, and NOW you have an opening from the tooth socket through up into the sinus cavity! I believe that this happens with a lot of upper molar extractions, but we never notice because the socket gets a blood clot in it, which plugs the hole, and it all heals up in 2 weeks. But sometimes that little hole doesn't heal up, and delays healing. So the pain after tooth extraction will last for 2 to 4 weeks. An infection after the extraction. After ANY tooth extraction, there is always a chance of getting an infection in the socket. The risk is higher in people who smoke or are diabetic. It will become painful within 2 days of the extraction, and you may get a swollen gum or even a swollen face. Your dentist will give you some antibiotics to kill the infection. He may also want to numb the area again and clean out the infection surgically. Pain after tooth extraction - How Long Does A Dry Socket Last? A DRY SOCKET. This is different to an infection after tooth extraction. With a dry socket, there is NO infection. 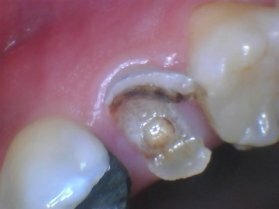 The pain usually starts 4 to 5 days after the extraction. There is NO swelling, and you may have a bad taste or odor from your mouth. Antibiotics will not help, because there are no bacteria! The pain is caused by the bone of the tooth socket being exposed. You have an open wound. You never got a stable blood clot forming in the socket; or, if you did, it got washed out. The good news it that a dry socket will sort itself out within 2 weeks. In the meantime you will need painkillers. Again, your dentist may want to numb up the area again and clean it out surgically. So, the pain will last about 2 weeks. The BEST thing you can do is apply a high-quality aloe vera gel directly into the hole in the gum where the tooth has been removed. The best one is from Forever Living, and you can read more about this as well as ordering online HERE. Hot salt water. Whatever type of extraction you've had, you usually can't go wrong by bathing the gum area gently with hot salt water. And I mean gently! NO vigorous swishing around! Just a small spoonful of normal table salt in a cup of hot water, and then take a sip and tilt your head so that the hot water sits over the sore gum. Wait 10 seconds, spit out, and take another sip. Repeat this 4 or 5 times. In a perfect world, you'd do this every hour. In reality, most folks manage it about every 2 hours! But that's OK. After 2 days, the benefits of this start to fall away. But initially, it can make a big difference to your healing time. Cooling your face. The important thing here is not to put anything warm on the outside of your face. Not after an extraction. 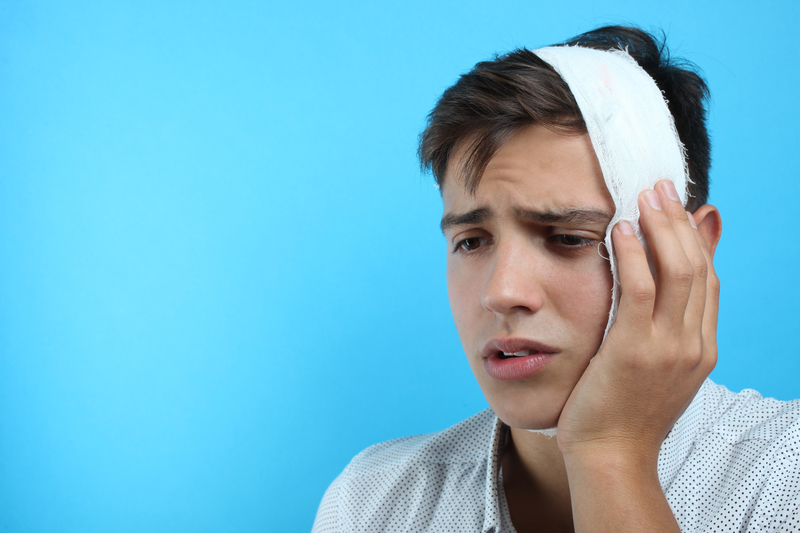 The best thing on the outside of your face is an ice pack. 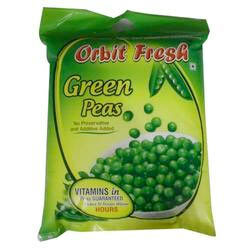 The simplest thing is something like a bag of frozen peas! Only apply this for 10 minutes at a time, every 30 minutes, otherwise you might get frostbite! And it's really only useful for the first 24 hours after the tooth extraction. Painkillers. The best painkiller for pain after tooth extraction is probably ibuprofen. This has different trade names in different countries. But you can buy it over the counter without a prescription. For pain after tooth extraction, I would recommend a dose of 600mg every eight hours. After 3 days, the discomfort should have improved enough that you can cut the dose in half. For more severe pain after tooth extraction, your dentist may prescribe you something with codeine in it, such as Vicodin. This is much stronger, and you should be very careful about the dose you take. Make sure you follow your dentist's or pharmacist's instructions exactly! 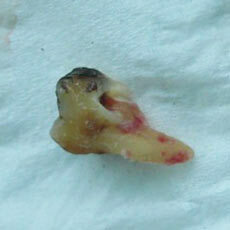 Getting a tooth out is never going to be fun, but the very least you expect from it is to get rid of your toothache. So it can come as something of a surprise to find out that you can still get pain after tooth extraction which lasts for several weeks! Hopefully I've been able to explain why this might happen, and give you some hints about what you can do to help things settle down. WebMD also has some information about pain after tooth extraction. If you'd like to ask me directly about a particular dental problem, you can send me a question AT THIS PAGE.